Random House Books for Young Readers, 9780525578611, 304pp. Three orphan girls. A pair of pink slippers. A lifetime in the spotlight. Read the classic that has captivated generations! This beautiful children's classic is perfect for girls who love to dream about ballet, friendship, and finding their own special talents. Adult readers may remember them as the "Shoes" books from You've Got Mail! Noel Streatfeild was born in Sussex in 1895 and was one of three sisters. Although she was considered the plain one she ended up leading the most glamorous and exciting life! After working in munitions factories and canteens for the armed forces when WWI broke out, Noel followed her dream of being on stage and went to the Royal Academy of Dramatic Arts, where she became a professional actress. She began writing children's books in 1931 and Ballet Shoes was published in 1936. She quickly became one of the most popular authors of her day. When she visited Puffin exhibitions, there were queues right out of the building and all the way down the Mall. She was one of the first winners of the Carnegie Medal and was awarded an OBE in 1983. 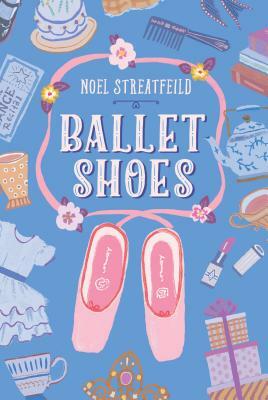 Noel Streatfeild lived in London. She died in 1986.